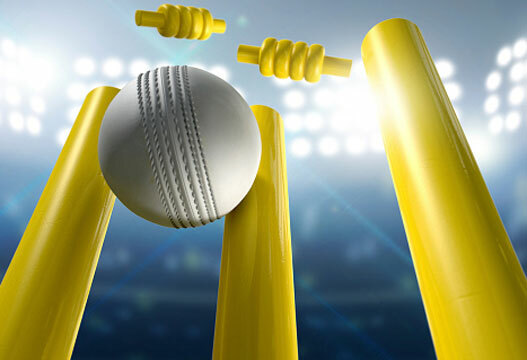 In the wake of England's World Cup demise, former professional cricketer and Chartered Psychologist Alastair Storie considers whether elite sporting performance relies on crunching the numbers, or on an absence of thought. England’s exit at the group stages of the recent men's Cricket World Cup has prompted much speculation about the organisational aspects of effective teams. Although Mike Atherton, former England captain and cricket correspondent for The Times, dismisses these as 'lazy theories', it has been mooted that playing for England is no fun in the coach-laden, micro-management era. We can never really know how happy any team is from the sidelines, but it is certainly worth exploring the possible side-effects of modern management teams in sport. Put simply, unhappy team members over time will lead to an unhappy team environment. According to Fletcher and Hanton (2003), organisational stress is what really bugs players - far more than the stress of performance. Botched travel arrangements, noisy hot or cold hotel rooms and dietary issues are all troublesome, but it is strained relationships between teammates or support staff which creates the biggest friction. Since Fletcher and Hanton’s work, the use of support staff in most professional sports teams has probably doubled ,and the question is: do the merits outweigh the potential issues? Rudi Webster, a West Indian sport psychologist, suggests that an increase in such staff (e.g. assistant coaches, strength and conditioning coaches, data analysts) has led that country’s players to report unsustainable demands being placed on them. It would be churlish to undermine the value of such professionals in preparation per se (most sports have gone through the roof in terms of physiological and technical gains in the last 10-15 years) but should this army of staff be there day in, day out? Why might a bigger support staff be problematic? Firstly, needing to impress a wider circle of coaches can increase pressure on players. Secondly, coaches themselves compete for time and attention. Thirdly, more bodies increase the number of interactions and thus emotional labour. Finally, repeated exposure to coaches can exaggerate the potential pitfalls present in all learning environments, namely, habituation (becoming bored with an approach) or dependence. How the plans are presented to players is also important, as is the confidence of the players in implementing the necessary tactics. Do they have the specific skills necessary? As psychologists these questions are salient: we know that confidence is fragile and indecision, the root of poor performance, can creep in quickly. My own view is that any decisions need to be part of collaboration between staff and players. It is here that psychologists can be of great benefit by facilitating open discussion and managing any conflicts arising. Another interesting role for the psychologist might be in reinforcing the fact that data can create pre-meditation, where sport is actually about responding to situations moment-by-moment. A final point worth remembering is that athletes (indeed all performers) are not machines. We cannot just impart more science and data to them without considering the wider effect on performance. The literature on flow suggests that there is a joy in peak performance which comes from a freedom of expression and clarity (absence?) of thought. Science could certainly assist this clarity, but without care it might also obfuscate. It is also possible that a climate of constant screening and analysis drains both players and coaches. Crucially, data cannot anticipate the inevitable psychological ebbs and flows in sport – thankfully this still requires real live human beings to predict events based on experience. How has the sport psychologist’s role at the elite level changed over the past decade, due to the growing role of data analysts? Have sport psychologists noticed a decrease in athlete enjoyment of sport due to increasing demands as regards data collection, analysis, and decision-making? Have psychologists felt pressured to keep up with these data-rich environments, where observation and interaction might be more effective than statistics? - Alastair Storie is a former professional cricketer and a Chartered Psychologist. He runs the company Performer Consulting. Fletcher, D & Hanton, S (2003) Sources of organizational stress in elite sports performers, The Sport Psychologist, 17(2), pp.175-195. Smith, P.A. (2007). Wasted? Studley: Know the Score Books.